If you are looking for an orthodontist near Leominster, MA, who comes highly recommended because of extensive experience and dedication to knowledge, then you are in the right place! Our 5-star-rated orthodontists often meet new patients who have been referred to us by local dentists, doctors, chiropractors, or other patients. In fact, Walker Orthodontics’s renowned reputation continuously draws patients from throughout New England and beyond. We know the field of orthodontics is ever-changing and requires regular continuing education to stay on top of the most advanced treatment. Walker Orthodontics uses a mix of cutting-edge technology and time-proven methods to give you a smile you can be proud of. Your smile is the first thing the world sees, so we will make yours amazing. We are also one of the few orthodontic practices in the area that specialize in the diagnosis and treatment of sleep apnea, snoring, and other airway disorders. Our patients not only come to us for a beautiful and healthy smile, but also a better quality of life. Our knowledgeable orthodontist near Leominster, MA, has extensive specialized training in guiding the proper growth and development of your child’s jaw and face. We are able to help children attain a healthy bite with early treatment for disorders of the muscles and functions of the face and mouth – even without braces. In fact, our goal for early treatment is to help your child avoid or reduce the need for future braces. We focus on improving your child’s breathing, muscle function and tongue posture, leading to optimal facial development and a healthier smile. This and many other specialized treatment options we offer are part of Walker Orthodontics’ commitment to change lives through the very highest quality orthodontic care and treatment available. Trusted Orthodontist near Leominster, MA, since 1978! 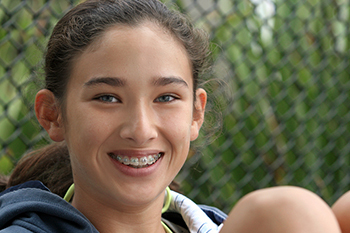 If you would like to learn more about many different treatment options offered by our trusted orthodontic near Leominster, MA, call 978.345.7988. To request your complimentary, no-obligation Walker Orthodontics Smile Assessment, click here.